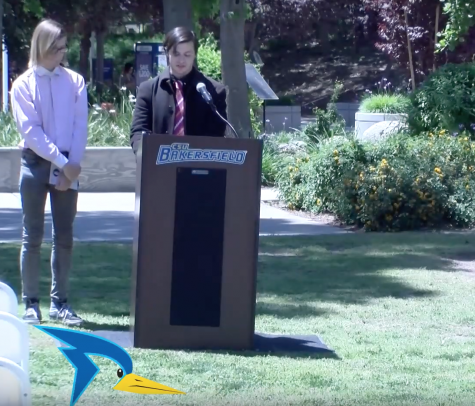 The 2017 CSU Bakersfield softball season was a learning experience for the Roadrunners. 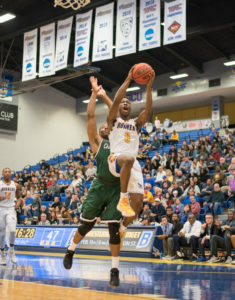 CSUB ended last season 12-33 and 4-11 in Western Athletic Conference. “We learned a lot as a team,” said Summer Evans, senior pitcher. Freshman on the team, according to Evans, soaked in the team’s struggles and learned from their experiences last season through talking and reflection. 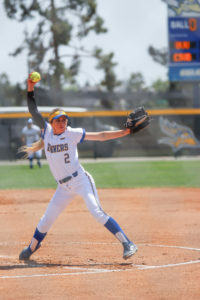 Evans pitched in all three games in the 2017 WAC Tournament. She posted a record of 0-2, and an ERA of 16 in the conference tournament. Evans was 8-13 overall last season. 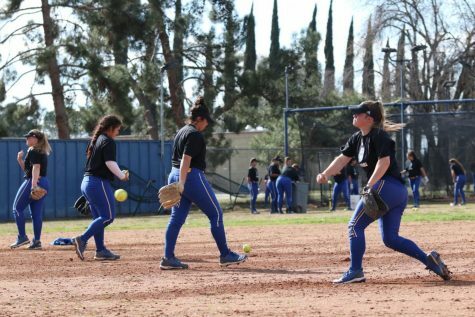 Practice is ongoing during the last week of January, as the team prepares for their Feb. 9 road opener at San Diego State University’s tournament. “We’re meshing together really well. 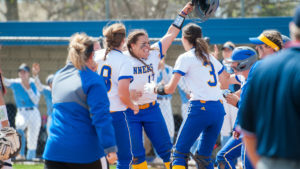 I like how our new freshman have come in,” said Head Coach Crissy Buck-Ziegler in her sixth season for CSUB softball. New recruits have opened the way for the team to excel this season. 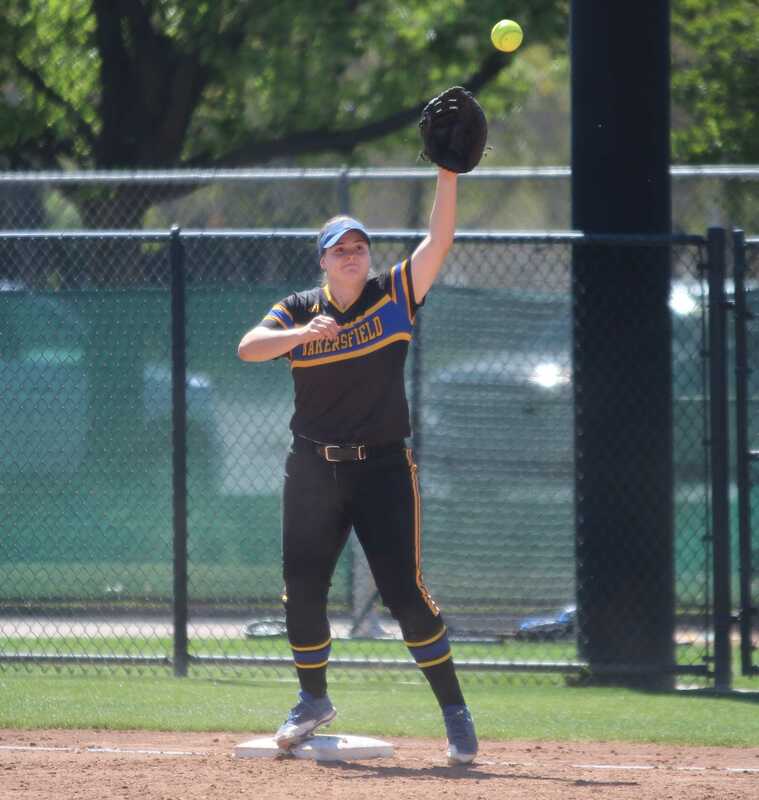 Buck-Ziegler said about freshman pitcher Paige Johnson, “She has given us a big breath of fresh air.” She said Johnson’s passion and energy have energized the program. Improving this season is crucial. Buck-Ziegler said, “We’ve got to control what we can control.” She emphasized how important defense is this year. Buck-Ziegler confirmed that Evans will be the No. 1 starting pitcher this season for the Roadrunners. Freshman pitchers in the rotation are Daryn Hitzel and Kaycee Olson. “You have to look at a season as a marathon … always our goal is to be peaking at the end of the season,” said Buck-Ziegler. 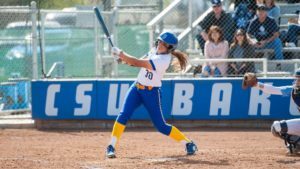 CSUB softball will face teams such as Fresno State, St. Mary’s, Sacramento State, Stanford and Cal State Fullerton before WAC play begins March 30. “We’ll be able to take on all of our opponents,” said Evans. Evans said that she’s excited for the season. 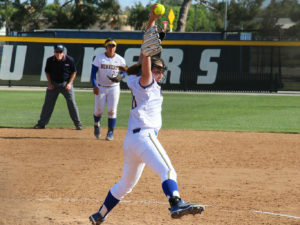 Evans added that the team goal is to win WAC and her personal goal is to win WAC pitcher of the year. Evans said that the new freshmen can contribute to the team this season. 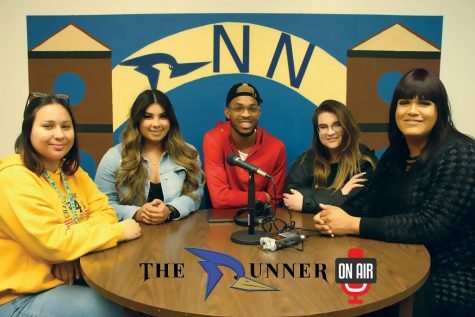 “I want to help the team we have now and take the experience we have this year and take into next year,” said senior Evans, her last season as a Roadrunner. Freshmen this season include catcher and outfielder Gabrille Fua, infielder Arianna Felix and utility player Katie Jackson. Cavazos said she suffered a new heel injury, plantar fasciitis, an injury that she can play through. “I’m trying to love every second. The good. The bad. 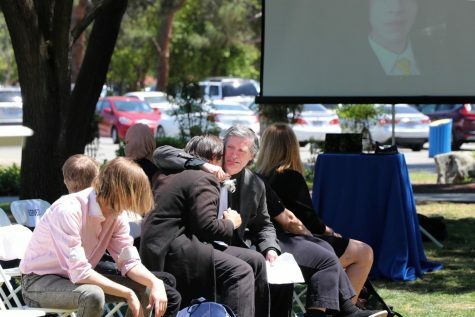 The painful days and the days everything feels good,” said Cavazos. 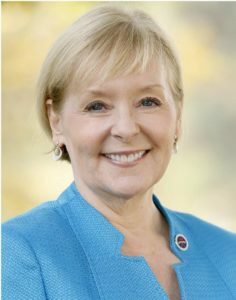 She said she wants to pass along her knowledge to the freshmen that have been eager to learn. The 2017 season was a struggle, but the tenured members learned from it. “The biggest thing we took from last year was leaning on each other, and being a close and cohesive group,” said Cavazos. 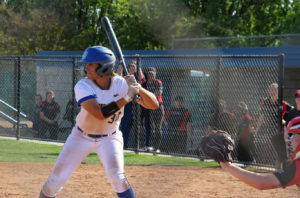 Junior Chris Hipa, who plays at third base and utility, is the lone Roadrunner on the 2018 Softball Preseason All-WAC Team. 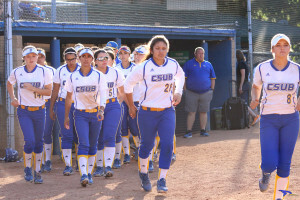 CSUB softball kicks its season off Feb. 9 at San Diego State. The Roadrunners first home game will be a double header, Saturday, March 3 at 12 p.m. and 2 p.m. versus Sacramento State.